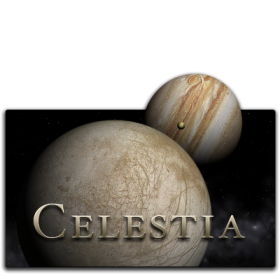 Celestia is an application for real-time 3D visualization of space, with a detailed model of the solar system, over 100,000 stars, more than 10,000 galaxies, and an extension mechanism for adding more objects. 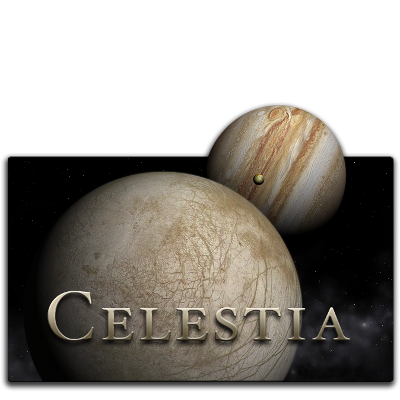 Celestia allows users to travel through an extensive universe, modeled after reality, at any speed, in any direction and at any time in history. Celestia displays and interacts with objects ranging in scale from small spacecraft to entire galaxies in three dimensions using OpenGL, from perspectives which would not be possible from a classic planetarium or other ground-based display.